When you’re creating a video it is easy to get carried away thinking about the video itself so much so you actually forget that videos have another crucial component: Audio. Of course it is possible that you intentionally want your video to be completely mute – but that probably isn’t the case as it would certainly be a lot less interesting. Frankly speaking, the audio that accompanies your video is just as important as the video itself and some would even go as far as to say that it is what gives your videos life – and more critically, context. The good news in this regard is that the Movavi Video Editor for Mac comes with the ability to add audio to your background. Normally people use this option to add music, but it really is up to you what you wish to do with it. 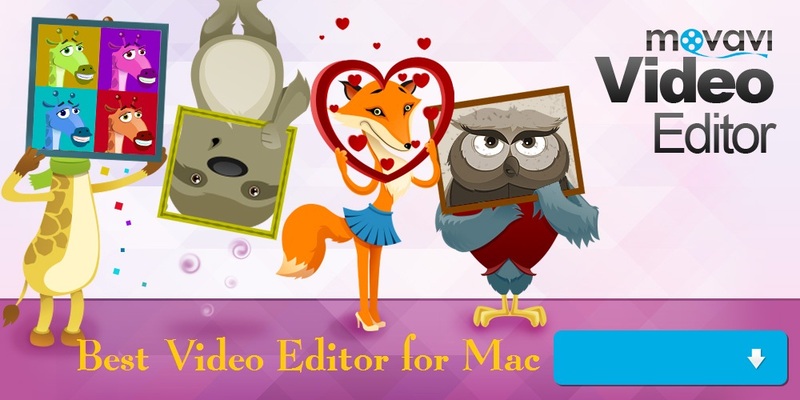 Being the best video editing software for Mac – this should come as no surprise. Some of the more creative applications include adding sound effects, voice overs, or even a combination of the two as well as a background score to boot. The bottom line is: The option is there and you can use it to pick the right audio to accompany your video. The one thing that you want to keep in mind however is synchronization. When you’re adding an audio track to your existing video, you need to ensure that it is synchronized with the video otherwise it will just appear strange. After all, can you imagine talking about something in a voice over while referring to a scene in the video that has yet to be played? To ensure that your audio is synchronized it is always best to plan it out in advance. Be certain of what audio you want to play, and when you want it to play. That way you can engineer your audio track to match your requirements, and then cut and tweak the video as needed as well. By picking the right audio to go with your video, you’ll find that the end result is a lot more professional. Even for simple presentations, having a soft music playing in the background can really go a long way to make the video feel more alive. If you have trouble finding music to use, try looking for royalty free music online – odds are you’ll be able to find quite a selection that you can pick and choose from.